In the rapidly-changing field of healthcare, doctors, especially those who operate their own practices, constantly need to think about the future and even try to anticipate it. 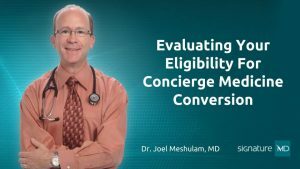 If you’re considering a concierge conversion, you may be asking yourself: In terms of the future, where does concierge medicine fit in? As Joel described, he thinks concierge medicine will always have a role in healthcare. Program-wise, as far as the future is concerned, I know for a fact that there will always be a need for this. There are more and more people who need care who do not have to it. Doctors are going to get more and more demand on their time. They’re going to need to make time or work even faster than they’re already working, and there are going to be patients, consumers, if you will, that aren’t happy sitting in a waiting room for an hour to see a doctor, and they’re not going to be happy going to the emergency room, and they’re not going to be happy going to Patient First to get the wrong medication. That group of patients that I’m describing isn’t necessarily wealthy people. They could be hardworking people – not that wealthy people aren’t hardworking. They could be people that aren’t making a ton of money, but maybe they have a high deductible insurance policy. If they’re going to be in for a ton of cost on the front end, they may want to just have a concierge physician. If they’re going to pay, they might as well have a good health experience than have to pay and have a lousy health experience, and more and more people are buying these high deductible plans because they can’t afford the low deductible plans. There’s a lot of movement in medicine right now that might not be what you would anticipate working in an office, and the future, I think, will definitely have to include this model of medicine. Like anything in the world, whether it’s shoe stores or plumbers, you’re going to have people who don’t care and you’re going to have people who do care. The people who do care are not just people with fat bank accounts and tons of money in their wallets. Let the future take care of itself. You take care of you. You be a doctor, do the things that are right for you and your world, and believe in yourself, and the future will take care of you. Don’t worry about it. That’s my belief. 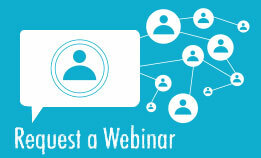 If you’re interested in learning more about how concierge medicine could be in the future for your practice, we encourage you to contact us.